With Winter right around the corner, Good Looks Eyewear wants to make sure that you are prepared to protect your eyes from the sunlight. Outdoor winter sports are very popular, certain sunglasses can help you perform better in the winter. One of the best kind of sunglasses an outdoor athlete can wear are wrapped sunglasses. Wrapped frames curve around your eyes for maximum protection from the suns harmful rays. 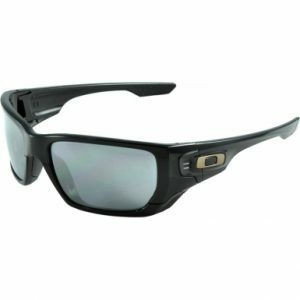 Oakley is a very popular brand of sunwear for athletes. The Oakley frames are wrapped and conform to your head shape perfectly so they will not fall off during exercise. Oakley frames can also come with polarized lenses to shield your eyes from the sun while you’re exercising outside. Stop in to our Pittsburgh or Cranberry Good Looks Eyewear to pick up your Oakley frames before the Winter. Ask any of our ABO Certified opticians to find out more information on what frames suit you best and which frames will best protect you for all of your winter activities.